Strategic enrollment planning is a process to align the university’s enrollment management strategies with its academic, co-curricular, and fiscal strategies and practices in order to promote the recruitment, retention, and graduation of its students. The process should be data-driven and broadly engaging of all university stakeholders. 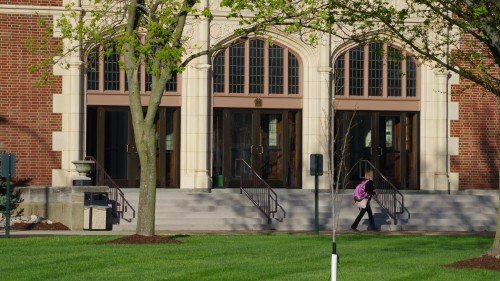 In other words, the strategic enrollment planning process will ask Lindenwood to determine the optimum size and make-up of its student body, and to strategize attracting and retaining those students according to the university mission, overall strategic plan, and realistic data projections. This digest is intended to keep the Lindenwood community up-to-date on developments in the SEP process and provide resources and insight for people involved or interested in taking a closer look at specific issues related to the process. The external environment in higher education is changing quickly, and to remain competitive Lindenwood must have a capability to adapt. 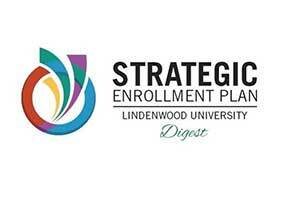 Keeping the strategic intent aligned with Lindenwood’s core identity as well as its environment will be critical and can be accomplished through integrated strategic planning activities. We cannot predict the future; however, the data-informed process of strategic enrollment planning will allow us to anticipate possible future scenarios. An iterative planning process allows flexibility and continuous strategic adjustment. The end goal of the process will be to identify and execute strategic initiatives that best position Lindenwood for reaching the established objectives. The University Committee for Strategic Enrollment Planning guides the strategic enrollment planning process, analyzing data, establishing timelines, and overseeing working groups. The committee is formed of representatives from a broad array of departments. Please use the form below to contribute ideas, potential strategies, or data for the consideration of the UC-SEP or the strategic working groups.